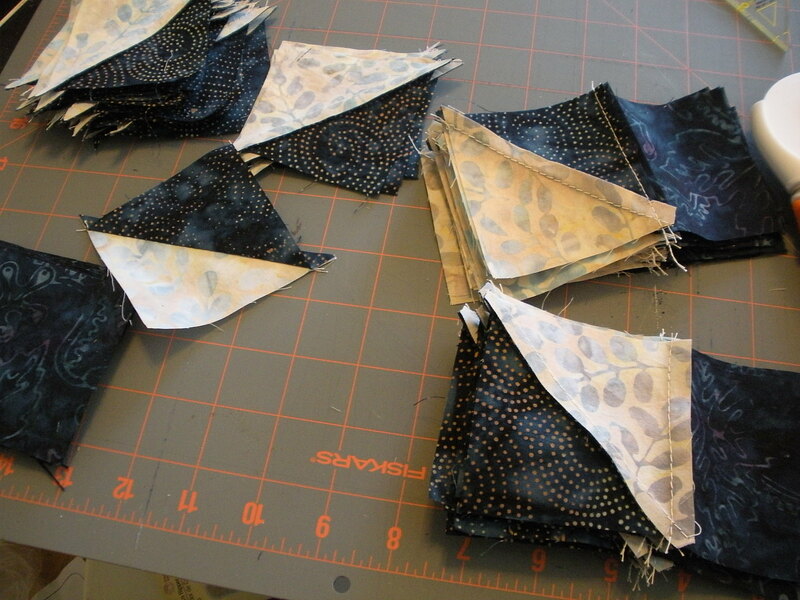 Last year, my sisters and I went to Keepsake Quilting‘s tent sale. 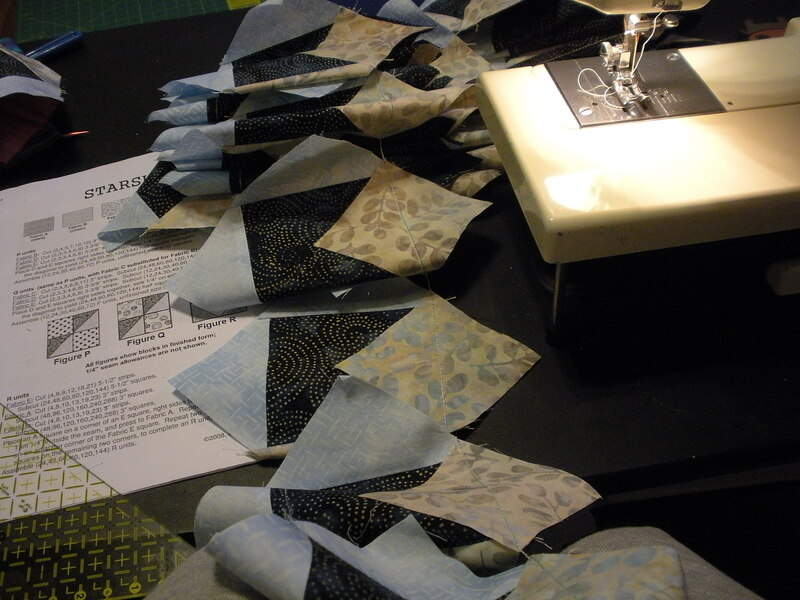 It was my first foray into the quilting world. There were women going through boxes upon boxes of scraps, a tent full of patterns, kits, and fabric by the yard (a very generous yard at that). 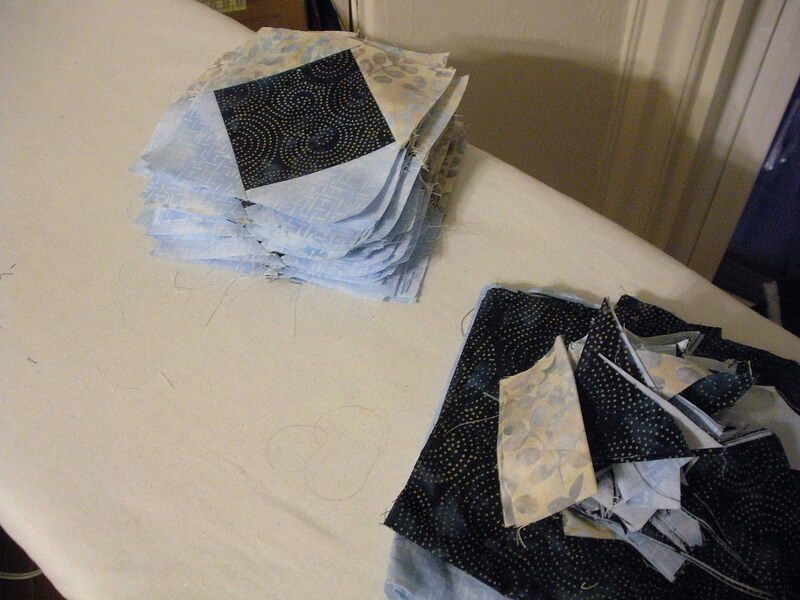 I picked up a quilt kit and two patterns. 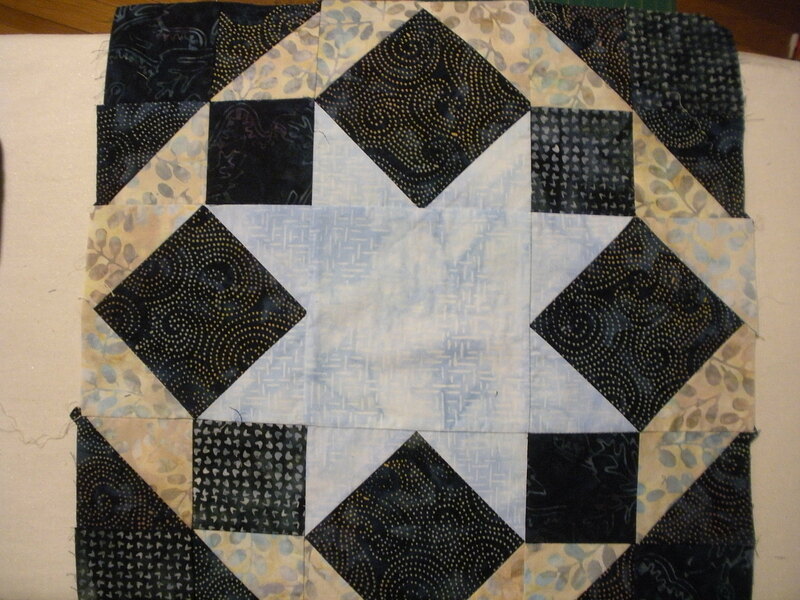 That kit turned out to be the Starshine Quilt by Creative Sewlutions. 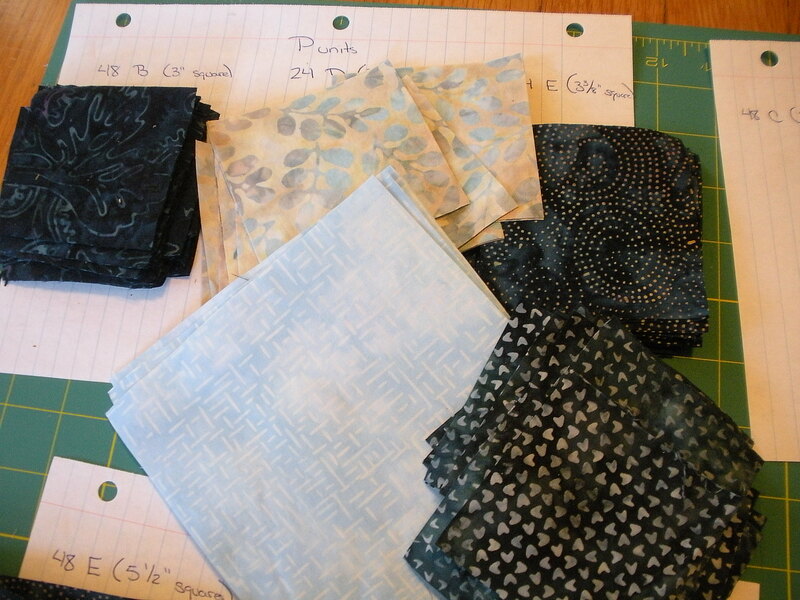 The kit was full of blue batiks– featuring light blue stars, a beige lattice, and wonderful navy background fabrics. I started piecing it over the summer. 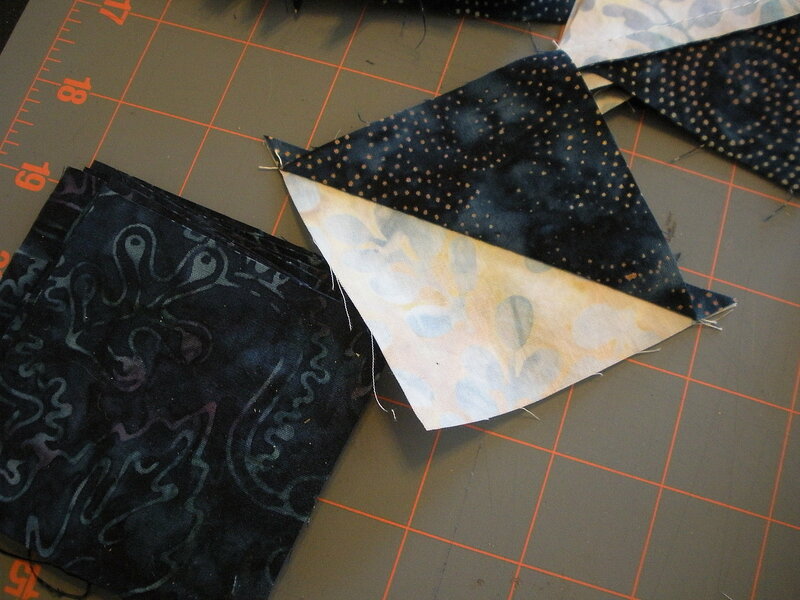 There were lots of half-square triangles to deal with, and I did not have a 1/4″ foot at the time, so, alas, my corners do not all match. But they came out pretty okay. 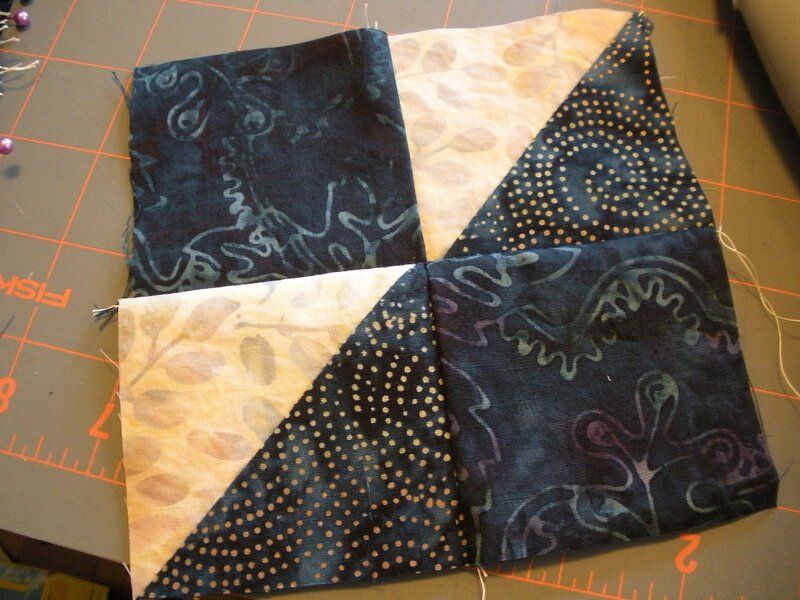 Today I finished up the other squares and started piecing the stars! Just look at those swirling stars! I love it! Such a great way to take my mind off things before school starts up again on Monday. I do love a good distraction– especially when it’s a productive one!